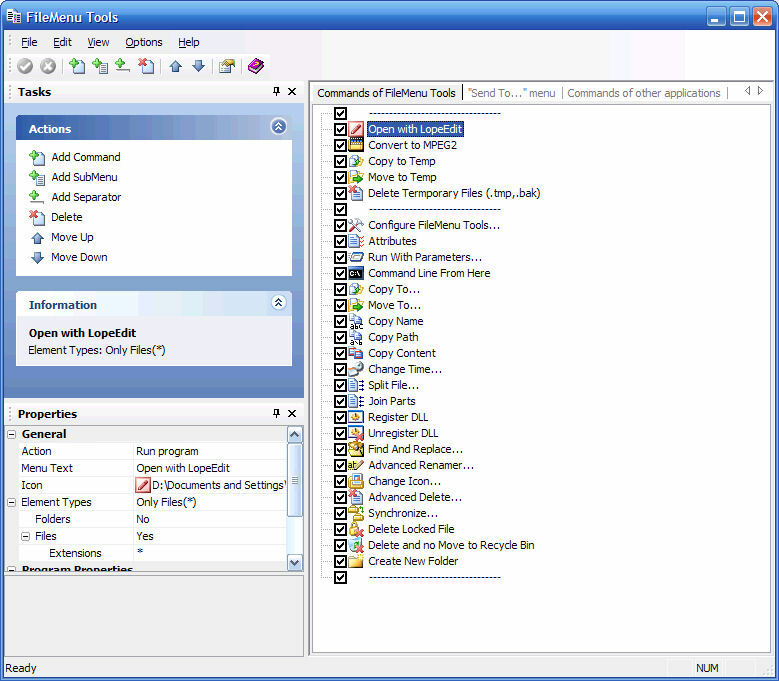 FileMenu Tools allows you to customize the context menu of Windows Explorer. 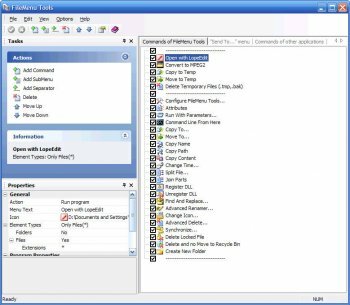 You can add file/folder functions that are built into FileMenu Tools, such as copy/move, copy name/path, securely delete, change attributes, and many more. FileMenu Tools version 7.1 is no longer free, it costs €9,99 EUR. An an extra security measure you can close the network connection during installation. I remove one star because of the developer's malicious intent to swindle the users with online installers which contaminate systems with all kind of crap. I once PRAISED this program, and still do older versions, but it is apparent that the author has changed over to the dark side. This versions installer is a joke! I mean one screen after another of malware offers, homepage changers and after carefully denying the (sneaky) offers, the installer begins a download that never stops... No cancel button, had to kill the process with task manager. Stay Away!! was once a great program. This is an excellent tool. I found that once I had taken the time to configure it extensively, it was a great help. I was able to clean up my context menu significantly. Adds a lot of handy tools to your context menu (under a sub menu called FileMenu Tools so as not to cause cluter). One thing it needs is a bit of grammar checking, it seems English is not the author's first language and some of the options are poorly worded such as "Use always this selection and not prompt more times". A bigger problem is that some of the features do not work. Shred files for example does absolutely nothing. It's a nice idea for a program but it needs a lot of work still. Just a dll that changes your context. Uses no resources.